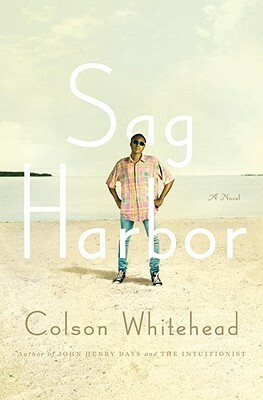 Colson Whitehead is the author of the novels "The Intuitionist," a finalist for the PEN/Hemingway award; "John Henry Days," which won the Young Lions Fiction Award, the Anisfield-Wolf Book Award, and was a finalist for the Pulitzer Prize; and "Apex Hides the Hurt," a "New York Times" Notable Book and winner of the PEN Oakland Award. He has also written a book of essays about his home town, "The Colossus of New York." A recipient of a Whiting Writers' Award and a MacArthur Fellowship, he lives in Brooklyn. How does each of Benji's comrades (Reggie, NP, Randy, Bobby, Marcus, Clive) contribute to the group? What challenges do they face as friends? Explain the differences between Benji's age group and that of his sister. During these years, why is the disparity between high school and college so acute? Benji comments that "the rock" on the beach near his beach house serves as a racial barrier. White people won't walk much further past it. What similar examples can you think of that exist today or in your own community? How have racial barriers changed in the last 20 years? How are they still the same? The emergence of hip-hop is a strong influence in the lives of Benji and his friends. In what ways does music affect their generation? In what ways has music affected your own life? Benji grapples with his identity throughout the novel. At one point he states: "According to the world we were the definition of a paradox: black boys with beach houses. A paradox to the outside, but it never occurred to us that there was anything strange about it." (Pg. 57) How is this community a paradox? How is Benji's identity shaped by the two worlds he inhabits, both during the school year, and then during the summer season? Benji often refers to the handshake, song, and/or dance he will surely conquer by the "end" of the summer. To what degree is he constantly trying to reinvent himself? What do you think are the characteristics of a typical 1980's adolescent? How does Benji fit the stereotype? How is he different? Benji clearly realizes toward the end of the summer that what he loves, is perhaps not the girls he pines after, but his beach home and "what he put into it." He reflects back on a tender moment with his family and the fond memories of being a child. What is it about our childhoods that evoke such special memories within us? Is there a place from your own past that touched your life as Sag Harbor touched Benji? Throughout the novel there looms a hint of darkness behind the relationship between Benji's father and his family. His father seems to have a violent strain. How does this affect Benji and his family? What is the role of the father in a young man's coming of age? From Catcher in the Rye to Stand By Me, the coming-of-age novel is a perennial in American literature. What do you think is so appealing and universal about this genre?